Google has scrapped “boring” plans for its extravagant new London headquarters, which had included a rooftop pool, an indoor football pitch and a private climbing wall. Larry Page, the co-founder and chief executive of Google, ordered the UK planning team to revise the design plan and come up with new ideas, the Daily Mail reported. The architect’s plans reportedly showed staff cycling between meetings, and relaxing in cozy nooks in a roof garden. In January, Google signed a deal to let more office space in London's King’s Cross, the site of the new headquarters. The Silicon Valley giant decided to lease the whole of 6 Pancras Square, after initially agreeing to take just under half of the building. 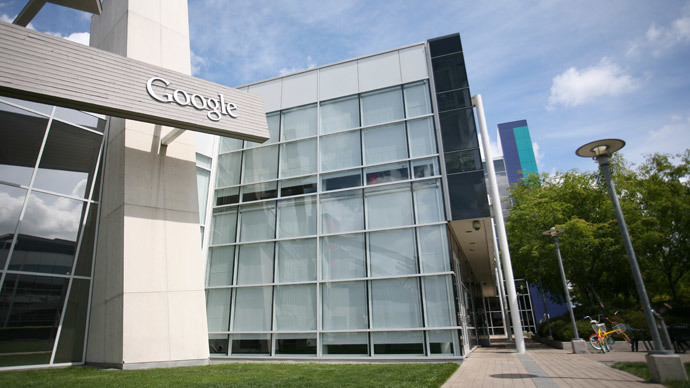 The office is expected to accommodate up to 5,000 Google employees. The move-in date has already been pushed back from next year to 2017, as building work on the site has not yet begun. Work on the new, £650 million ($1 billion) Google UK headquarters will not start until at least September 2015, according to Techworld. Cycling ramps, terraces and a large roof garden were supposed to create an “easy and enjoyable journey that encourages encounter,” according to AHMM. In November 2013, Engadget UK reported Google had already scrapped the proposed design for its London HQ, saying they were not “ambitious” enough. The plans incorporated a roof-top running track, swimming pool and connected cycling ramps, but architects were told to go back to the drawing board and come up with yet another design. Delays to AHMM’s proposed office design have now led to the departure of a number of “exasperated and frustrated” architects who spent years working on the plans, Architects Journal reports. The new London HQ has a lot to live up to. Google’s Mountain View site in California features a bowling alley, a volleyball court, yurt-shaped meeting rooms, sleeping pods, 19 free restaurants and 60 snack kitchens.